The Due West Associate Reformed Presbyterian Church partners with Child Evangelism Fellowship to do the Good News Club at Cherokee Trail Elementary School. The club meets after school, usually from 2:45 to 4: p. m. one day a week for eight to ten weeks each semester. The curriculum always centers on the Good News of the Gospel of Jesus Christ. Attendance averages about fifty-five children from Kindergarten through sixth grade. Helpers are always needed. Call the church office (864) 379-8159) for more information. Three times a year volunteers meet to prepare meals and/or cookies for bereaved families, new mothers, individuals confined to their homes, or newcomers to the community. The food is frozen and used as needs arise or delivered if immediate need is known. The Christian Action Committee oversees the distribution of funds to families in financial crisis in our church as well as families in the Due West community. We work closely with the United Christian Ministries of Abbeville County which has a similar mission. All funds received and dispersed are held in confidence. We only identify a recipient when the sum needed is so large that we need to have a fund drive. 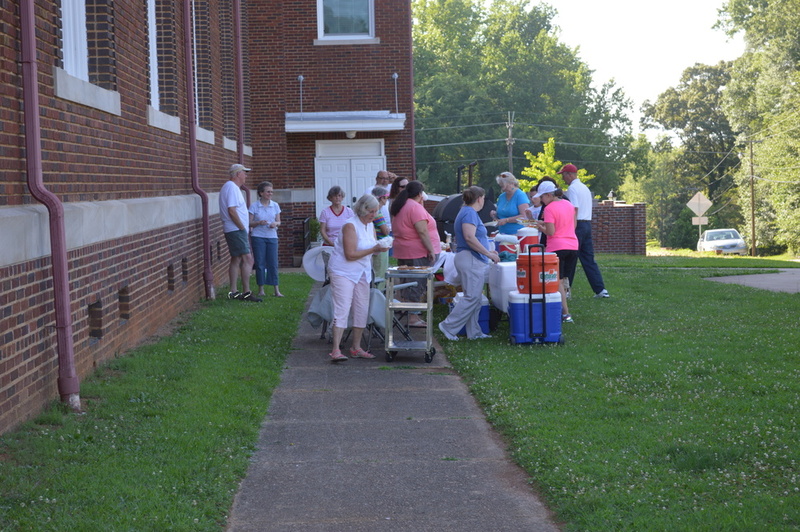 The Due West ARP Church sponsors a community gathering in early June. All residents of Due West are welcomed, especially those who belong to other churches. The ARP Church serves hot dogs or something similar on tables arranged in the parking lot. There is a brief program with the bulk of the time (5:00 to 7:00 p. m.) devoted to ecumenical fellowship. Children have various activities and always enjoy the homemade ice cream! Troop 54, Boy Scouts of America, is a youth ministry of the Due West ARP church. This small, but very active troop focuses on developing the young men into informed, well rounded and reverent citizens while having lots of fun. With a lot of camping as a core, Scouts find areas of interest and passion, from Wilderness survival to computer science and robotics, from athletics to Entrepreneurship, from hiking to canoeing. The troop is well known for being in the highest percentage of Eagle Scout achievement in the nation, and welcomes new members who are younger (have completed fifth grade) up until they are 18 years of age. we meet Monday evenings at- 5:30 -at the Plaxco Scout Hut behind Dixie High School. You can contact our Scoutmaster, Jamie Crisp, at 864-379-8442 for more information. Visit our Facebook page.